So. Blogging. Didn’t happen for a while, did it? 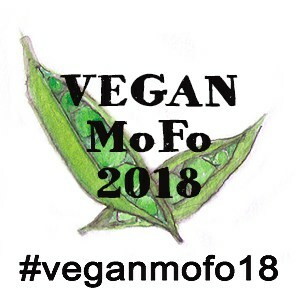 I was totally geared up to complete the Vegan MoFo challenge of 2015, I had all my posts planned… and then I decided that I just wasn’t inspired anymore. I didn’t love anything I was posting and I wasn’t enjoying any part of the blogging process. Coupled with the stress of life at the moment and the strains of pregnancy, I decided that enough was enough and blogging had to go for a little bit. I’m slowly finding motivation again, although I really feel like Moving Scouse could use a little bit of a re-brand… but for now, I’ll be posting whatever I like, whenever I like, and we’ll see if I can fall back into an editorial schedule or not. To start off, I’m posting a recipe that I had originally intended for Vegan MoFo: Doughballs! They’re one of my favourite things to eat out when we go to Pizza Express, but we always have to substitute the garlic butter for some form of oil, since nowhere provides a dairy-free garlic spread. I think they’re missing a trick there. Anyway. This recipe is actually one of Jake’s, he uses the Pizza Dough from Vegan with a Vengeance , although I’m pretty sure any dough will work. It’s a super simple recipe, and all the ingredient measurements are personal preferences, so play around with them according to your tastes! Roll your pizza dough into balls by the tablespoon, place on a greased or lined baking tray and bake for 10 - 15 minutes, until golden brown. Keep an eye on them, they're small and volatile! In the meantime, mix your margarine with the garlic powder, salt and pepper. Place your spread in a small bowl, place the bowl on a plate and arrange your baked dough balls around the bowl - voila, a starter for four! What’s your favourite easy vegan appetiser? Let me know in the comments!